Bulterman, D.C.A. (1995). 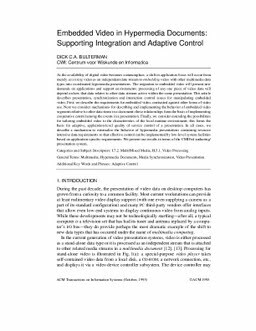 Embedded video in hypermedia documents: Supporting integration and adaptive control. ACM Transactions on Information Systems, 1–30.